A recent article in the Sydney Morning Herald by Andrew Taylor reported on research revealing that millions of Australians are wasting their money on back pain drugs that do more harm than good. This is according to a study by researchers at The George Institute for Global Health. They conducted research into 35 anti-inflammatory drug trials involving over 6000 people, and found that patients were 2.5 times more likely to suffer from stomach ulcers and bleeding if they took non-steroidal anti-inflammatory drugs (NSAIDs). The study’s lead author, Associate Professor Manuela Ferreira, stated that, these drugs “do reduce the level of pain, but only very slightly, and arguably not of any clinical significance.” She continued, “If you consider the side effects, which are important, we argue that the benefit is not really worthwhile”. 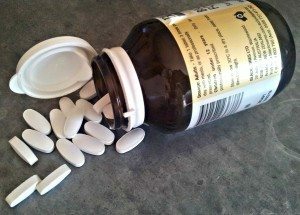 Although most clinical guidelines still recommend paracetamol as an initial back pain treatment, followed by NSAIDs and opoids, earlier research found that paracetamol is ineffective and opoids are no better than placebo. Research of this kind has led Gustavo Machado (Research Fellow at The George Institute and Sydney University’s School of Medicine) to conclude that, “Millions of Australians are taking drugs that not only don’t work very well, they’re causing harm”. Neck or back pain is the leading cause of disability worldwide, according to a paper published in the Annals of the Rheumatic Diseases. For example, an estimated 80 percent of Australians will experience lower back pain during their lives, with 10 percent experiencing significant disability. Therefore, many people are in need of access to effective approaches for neck and back pain relief. Chiropractic deals highly effectively with the relief of back and neck pain, with no damaging side-effects. As your Canberra Chiropractor for over 30 years, I have the experience and skills to assess and treat your spinal conditions as an alternative to the use of pain medications.